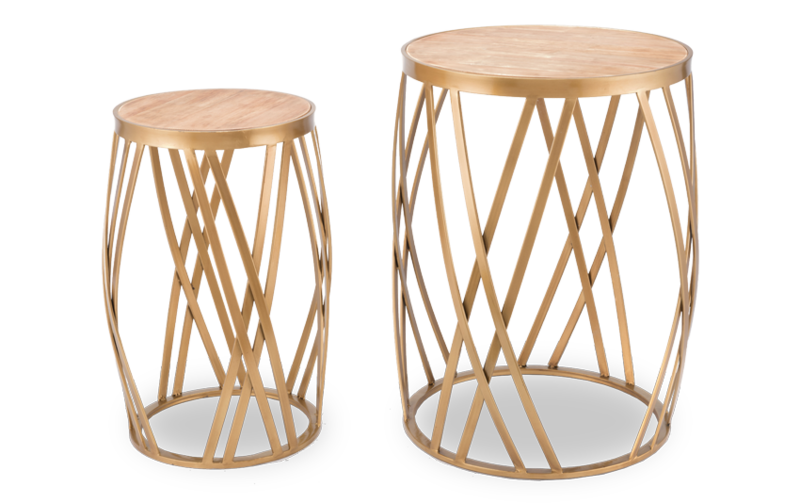 Strike gold with my Criss Cross Table Set! 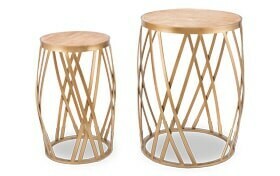 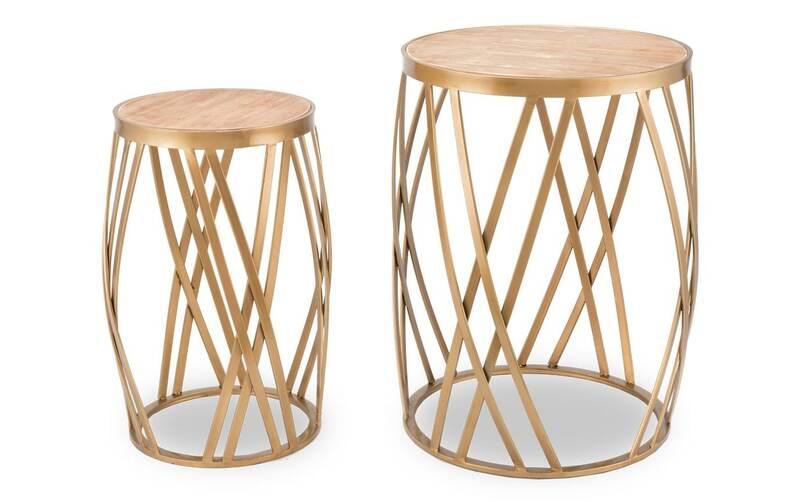 Finished in lux gold with a matching gold-rimmed top, this set of two round nesting tables can save space when nested, AND is also super functional when separated for use. 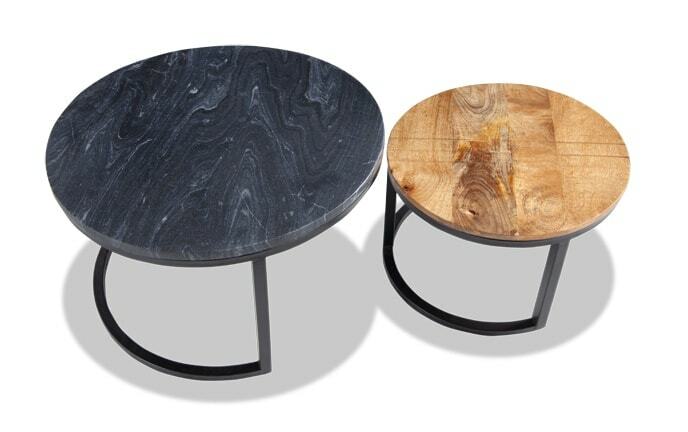 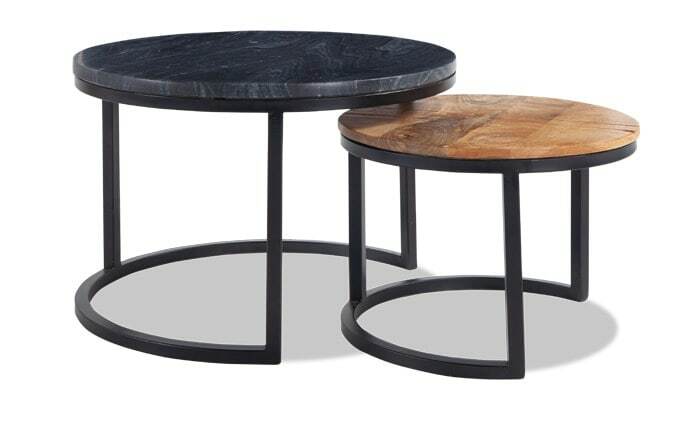 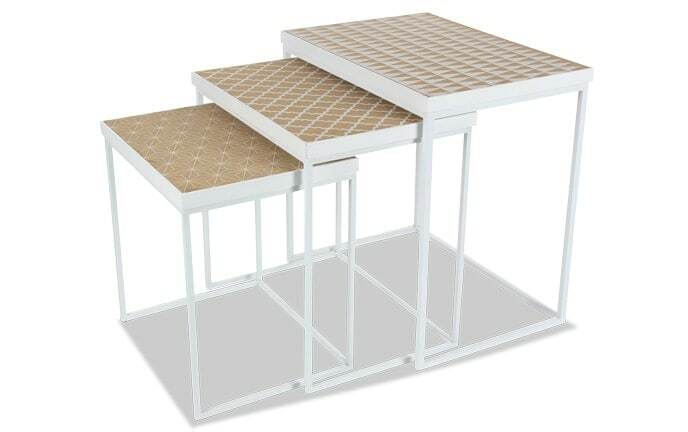 Both tables offer a sturdy steel base with criss-crossed sides, a design that makes them versatile and well-suited for any space in your home!